It was 70°F in Boston this past weekend, salad weather in my estimation. Winter ought to bring about more grounding, heavier foods that are cooked. But crisp romaine, edamame, and oranges are quite refreshing though at the right temperature. This recipe makes 1 large salad, but can easily be doubled and so on. Chop romaine lettuce, add to a bowl with arugula and toss to combine. 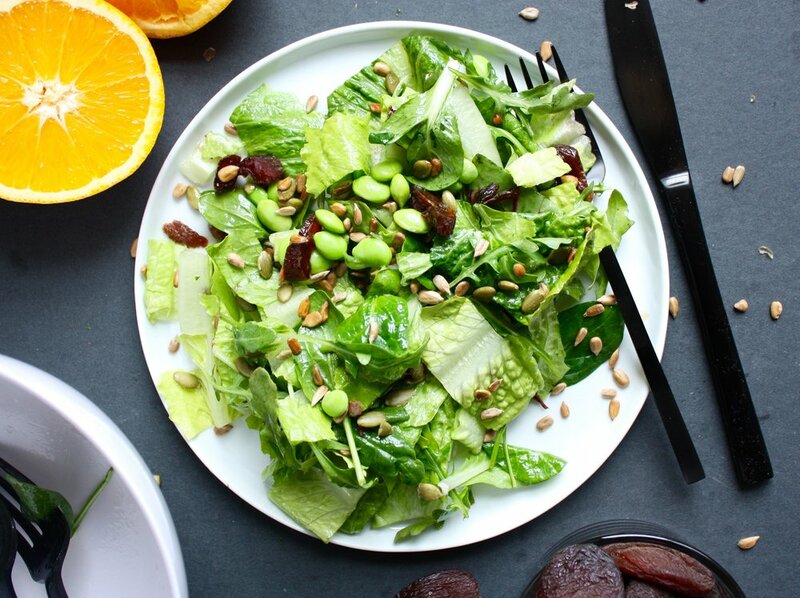 Chop dried apricots, toss with lettuce along with edamame, sunflower seeds, and pepitas. Juice the orange right into the bowl. Drizzle in oil and vinegar of choice, toss to combine. Best served chilled.